David Cameron was accused on Friday of giving evasive answers about the Tories' chief election strategist as the Labour party highlighted Lynton Crosby's role in promoting shale gas companies in his native Australia. As a cross-party committee of MPs accused the government of "utterly unacceptable" behaviour over the preparation of a new bill on lobbyists, Labour warned of a "lobbying scandal" in Downing Street after George Osborne unveiled tax breaks for the fracking industry championed by Crosby. Jon Trickett, the shadow Cabinet Office minister, pointed out that the lobbyist's firm Crosby Textor represents the Australian Petroleum Exploration Association. One of its members, Dart Energy, has a UK subsidiary, Dart Europe Limited, which has an interest in the Bowland Shale site in Lancashire and Yorkshire, which contains 1,300tn cubic feet of gas. The chancellor announced on Friday that the government would set a 30% tax rate for onshore shale gas production, compared with the top rate of 62% for North Sea oil operations. Andrew Pendleton, head of campaigns at Friends of the Earth, said it was a "disgrace" to offer tax breaks to "polluting energy firms that threaten our communities and environment". The fracking industry association in Australia, which has been advised by Crosby's firm, has been highly critical of environmentalists. Stedman Ellis, the chief operating officer for the Western Region of the Australian Petroleum Production and Exploration Association, told the Australian newspaper last month: "The opportunity provided by shale gas is too important to be jeopardised by political scare campaigns run by activist groups." Trickett said that Crosby's role in advising the fracking industry raised further questions about the man who will run the Tories' 2015 general election campaign. Cameron is already facing pressure after refusing to say on at least 12 occasions, according to Trickett, whether he discussed government plans to abandon plain cigarette packaging with Crosby, whose firm has advised the tobacco giant Philip Morris. Trickett said: "David Cameron's failure to come clean over his relationship with Lynton Crosby has created a situation where his decisions are open to question. Whether it's tobacco, alcohol, lobbying and now fracking, we need to know what role lobbying has played in deciding what our prime minister does. 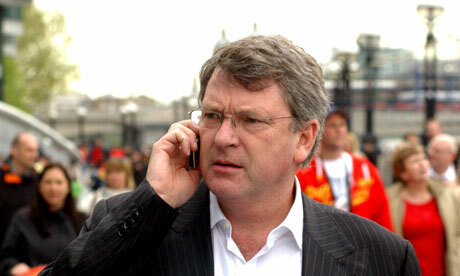 "David Cameron must make clear exactly what sort of conversations he has had with Lynton Crosby on government policy. He must force Lynton Crosby to name his clients and the prime minister must be clear about them and their influence. "We need answers but all we get is evasion from the prime minister. Politics needs to be above suspicion and work for everyone, but what we've got is a prime minister who continually stands up for the wrong people and either can't or won't clean up what is looking more and more like a lobbying scandal at the heart of No 10." The Commons political and constitutional reform committee was highly critical of the government and suggested that ministers rush out a new bill to introduce a statutory register of lobbyists after a series of recent scandals. In a report the committee condemned the government for failing to respond properly to a document it published last year on lobbying. The committee said: "It is utterly unacceptable that the government took more than a year to respond to our report on introducing a statutory register of lobbyists and that when it finally responded it did so in the form of a letter of a page and a half that does not engage with any of the detailed points made in the report. We consider that this shows a lack of respect for parliament and for the many people who contributed to our inquiry. We urge the government to provide us with a revised response that addresses our original report."